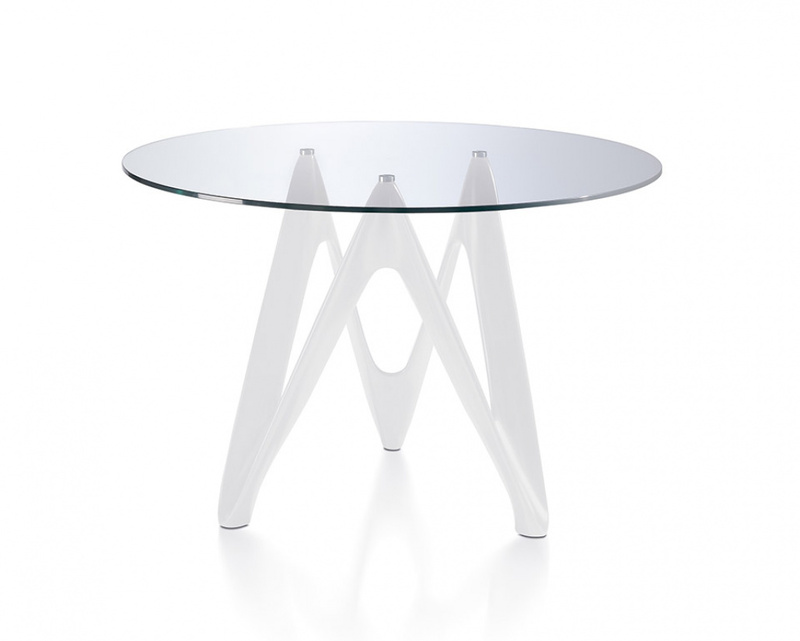 Fantastic round tempered glass dining table by Angelo. 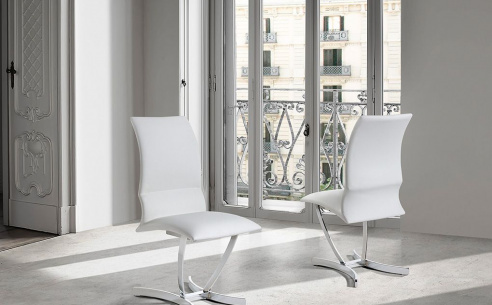 Unique webbed fibreglass base design makes the Dante a statement piece for any dining room. 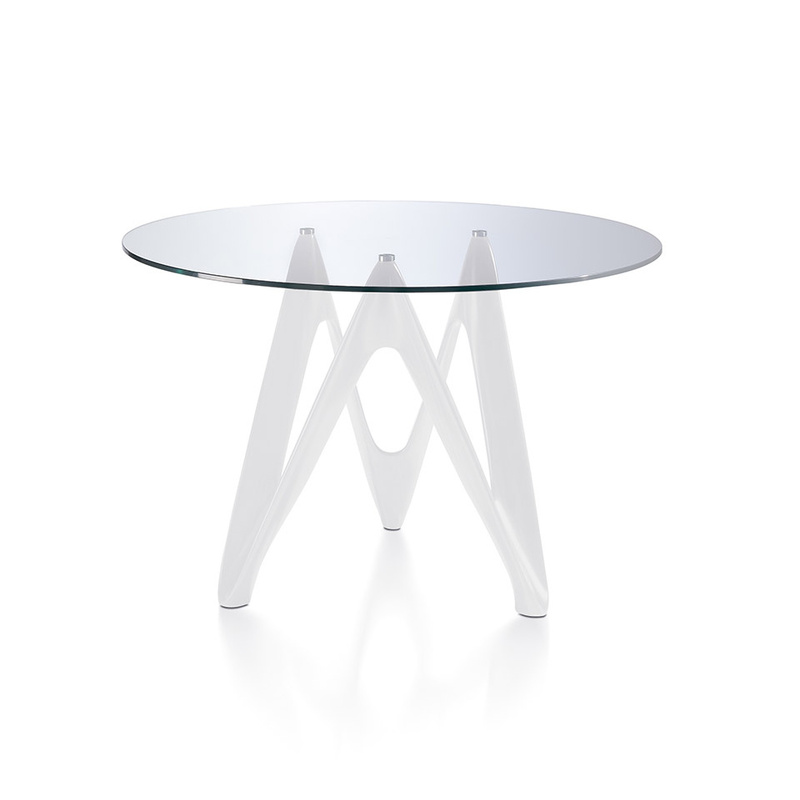 Alternative iterations available in oval glass top. Please contact us for details.